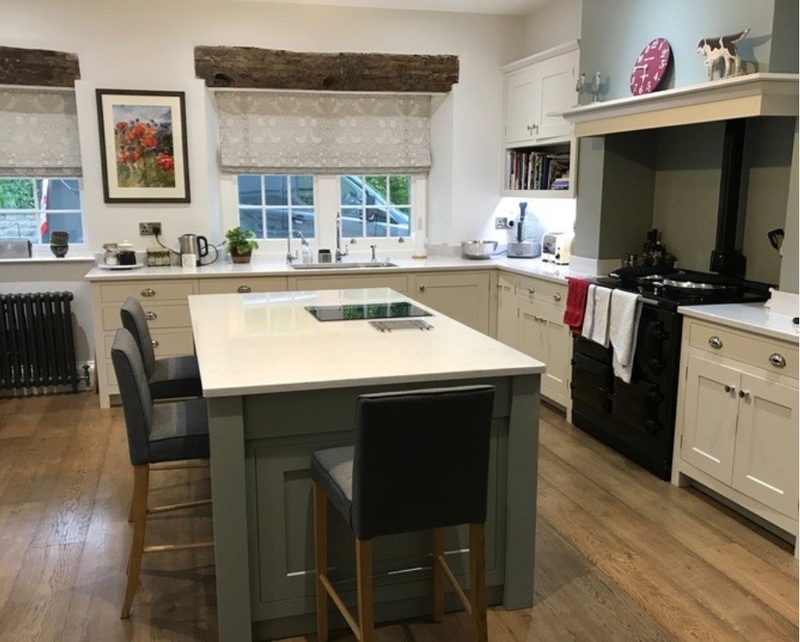 As well as helping this client choose Farrow & Ball colours to compliment their beautiful new kitchen in the Old Vicarage in Cawthorne, Barnsley we also manufactured beautiful hand finished roman blinds and voiles using the stunning Strawberry Thief design from the new Morris & Co. Pure range. 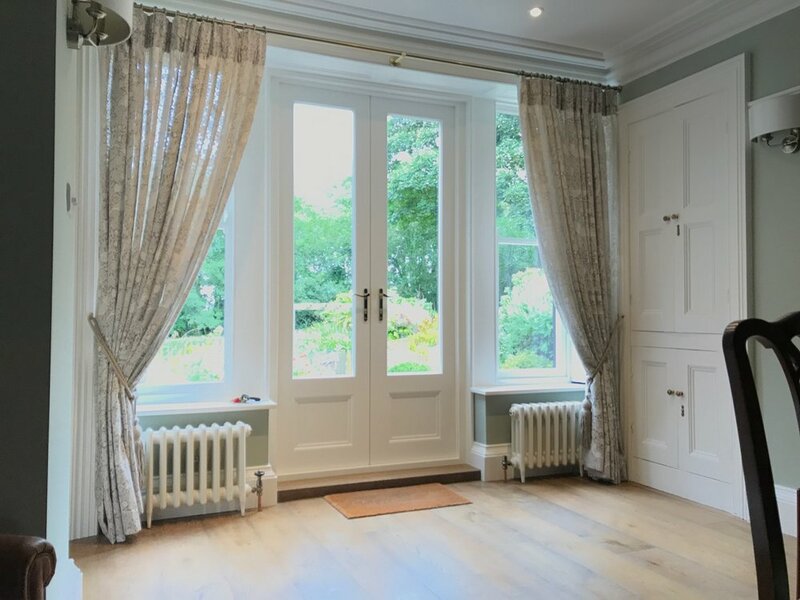 All carefully measured, hand finished and installed by the team at Marsh & Co.